Last year, on this date, we were being discharged from a lengthly hospitalization with Max. 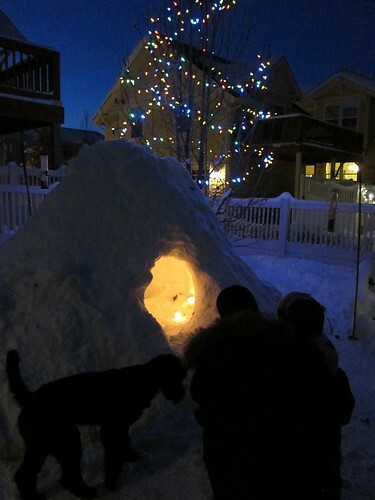 We had spent Christmas there, and we were quickly approaching the new year. I remember nearly begging them to not make us ring in the new year in the hospital. I had big plans for 2011 to be much better, stronger and healthier than 2010 had been. Like most things in life, it didn't work out that way exactly. 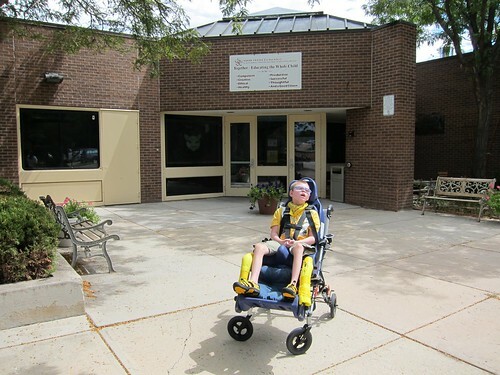 From December 2010 - December 2011, Max was in the hospital 47 days. That's nearly 6 weeks of this past year we spent in Children's Hospital, 2 of those weeks in the ICU. He had 27 outpatient clinic visits. He had over 12 weeks of IV antibiotics. No, 2011 was not a year of great health. But, it was a great year. 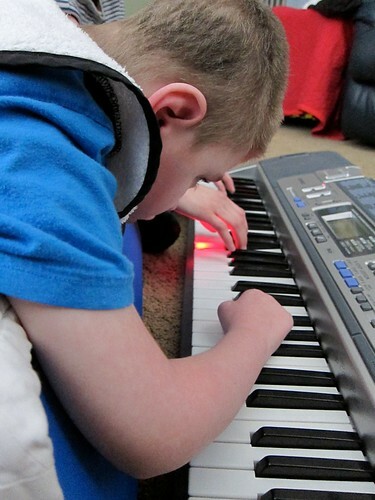 In January, we started the year with a grant from Professionals Miracles Foundation, which has paid for an entire year of music therapy for Max. It's one of his favorite things, and we're so thankful he can enjoy it weekly. 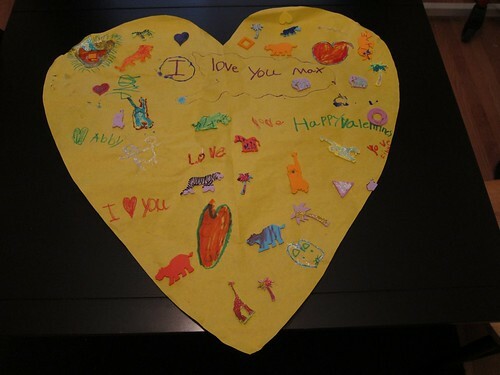 In February, Max got sweet Valentine's from his entire first grade class, each of them writing to tell him they were happy he was their friend. 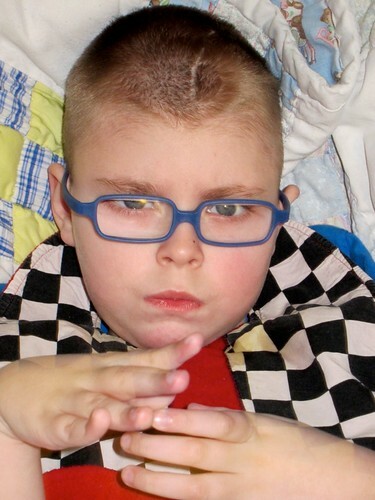 In March, Songs of Love sent Max an opera song written just for him. It's still one of his favorite songs to listen to. In April, we learned that while his vision is poor without his glasses, he sees well with them on, and he got some sporty new blue frames. 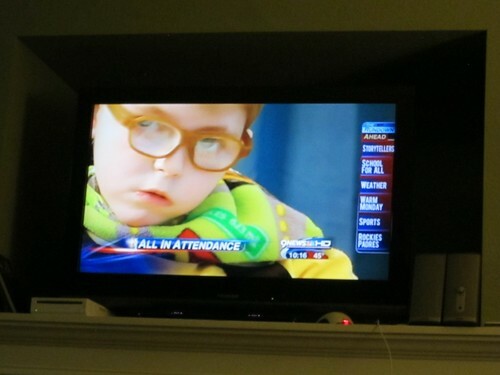 In May, he had field trips, and field days, the last day of 1st grade, and made his tv premier on the local news. 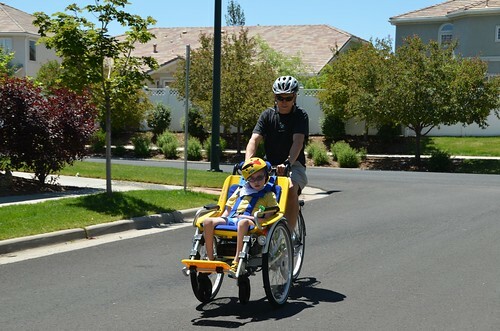 In June, Max got his Make A Wish granted, and got a bike! 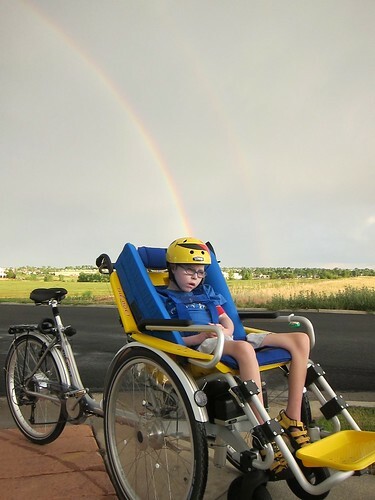 In July, he got to ride that bike as much as he could handle while being on the IV antibiotics at home. 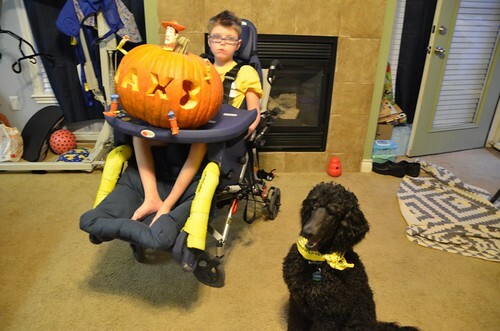 In August, Max started 2nd grade, and his sister Abbey moved here to live with us full-time. 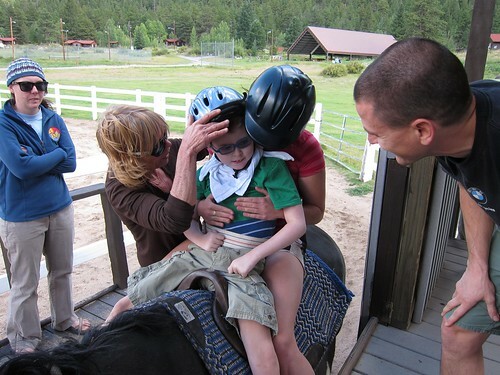 In September, Max got to ride a horse and zip-line up in the mountains. In October, we got his van lift, and of course thanks to all of you, we got GEORGE!!! And after waking up on his birthday in the hospital, we got a fast pass out of there to celebrate turning 8 at home. 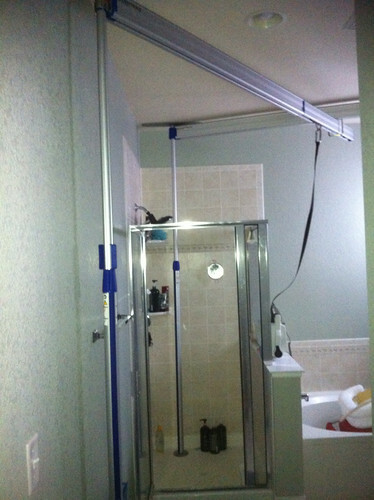 In November, after a year and a half of appeals, we finally got Max's bath lift approved and installed! In December, Max got to spend Christmas at home, and his friends in Michigan held a fundraiser for his trust to help pay for some repairs on his van. It was a busy year. A full year. One that we'll all be happy to put on the shelf. We look forward to 2012, hoping for health and happiness. If we have those things, it will be a wonderful year. Loved the update! We love being able to share the year with you. Looking forward to seeing what is in store for 2012! Happy New Years!!! Praying 2012 is awesome. What a great blog! I found you through Missy's new blog... I look forward to following along with you. I have two boys with Mito and also blog... my blog isn't as nice as yours! LOL I loved the pictures... just seeing this entry, I can feel the joy and love. Have a great 2012!